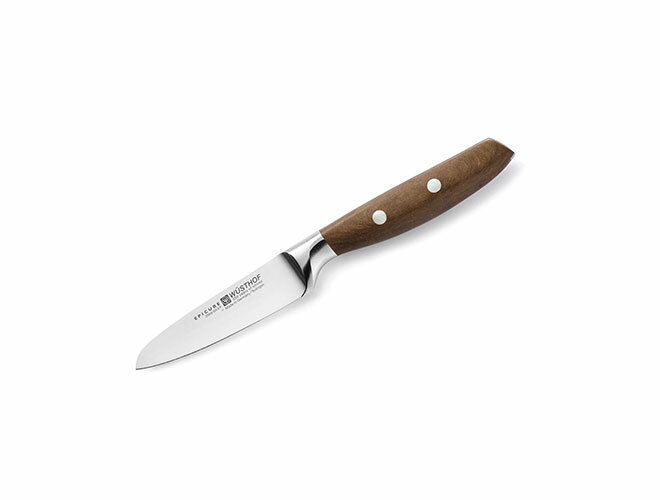 The Wusthof Epicure Paring Knife is most versatile for mincing shallots, onions and herbs as well as cleaning and cutting vegetables. 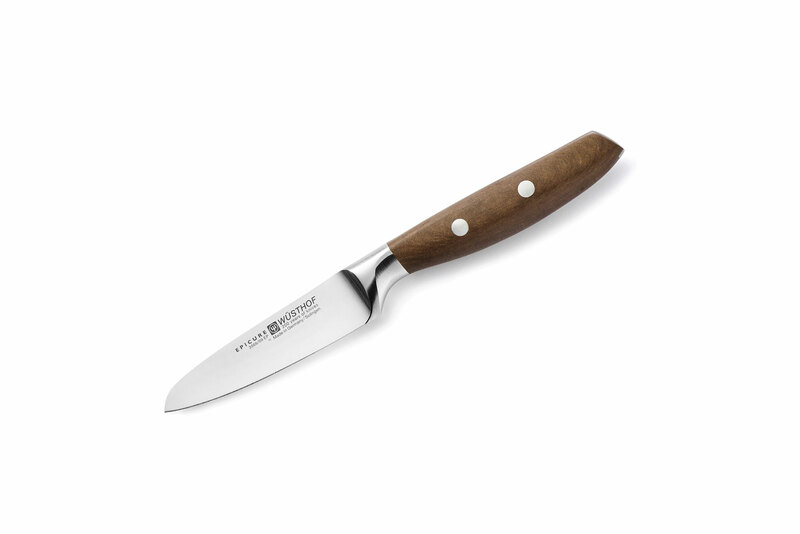 Wusthof Epicure precision forged, full-tang cutlery is specially crafted for the most discerning home cook. 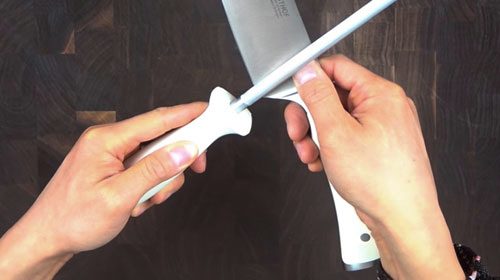 This unique line is a collaborative achievement between marketing and engineering teams based in the USA and Germany as well as industrial designer Bjorn Berger from Solingen, Germany. 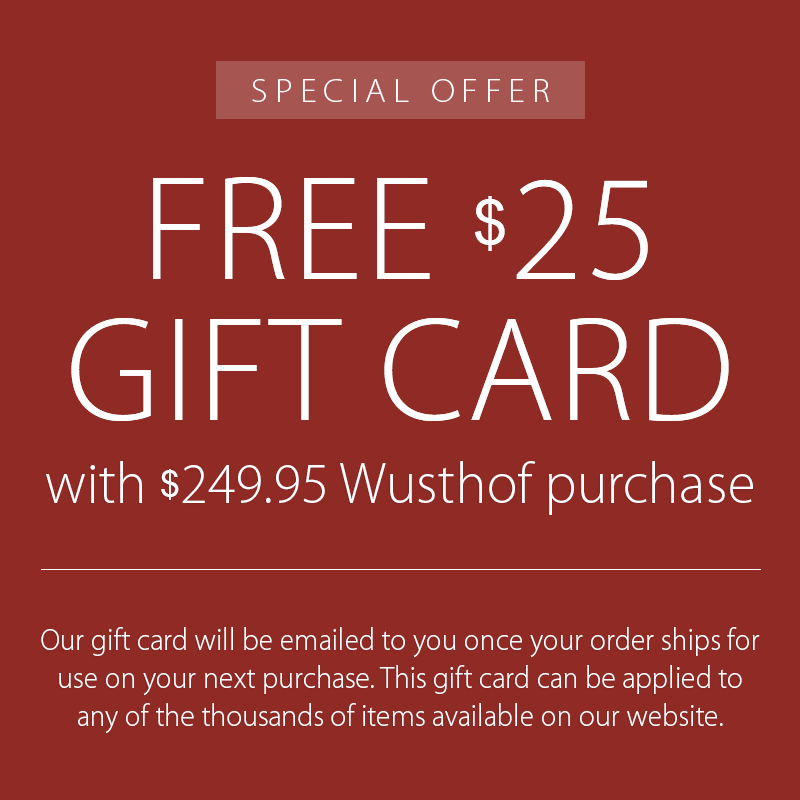 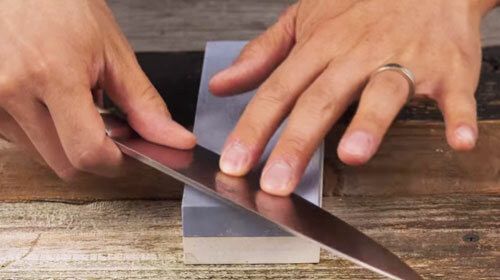 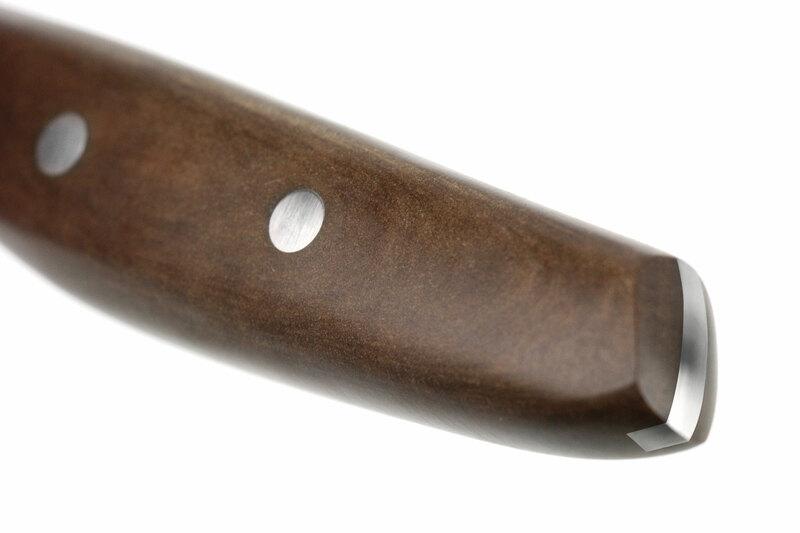 The Wusthof PEtec edge technology offers superior sharpness. 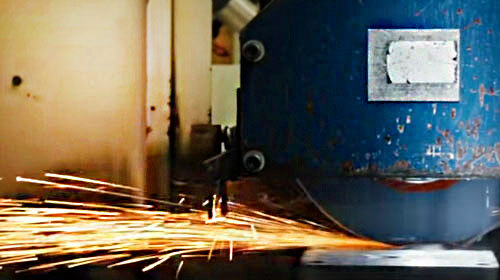 The blade is measured before sharpening using lasers and computers calculate the precise sharpening angle. 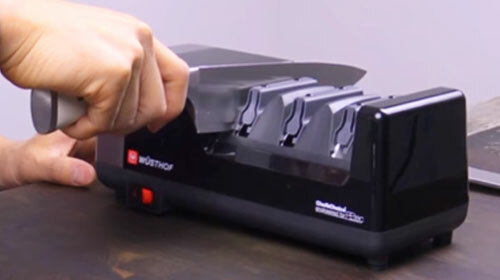 Precision robots sharpen the blade on a whetstone following a final polish using a special disc. 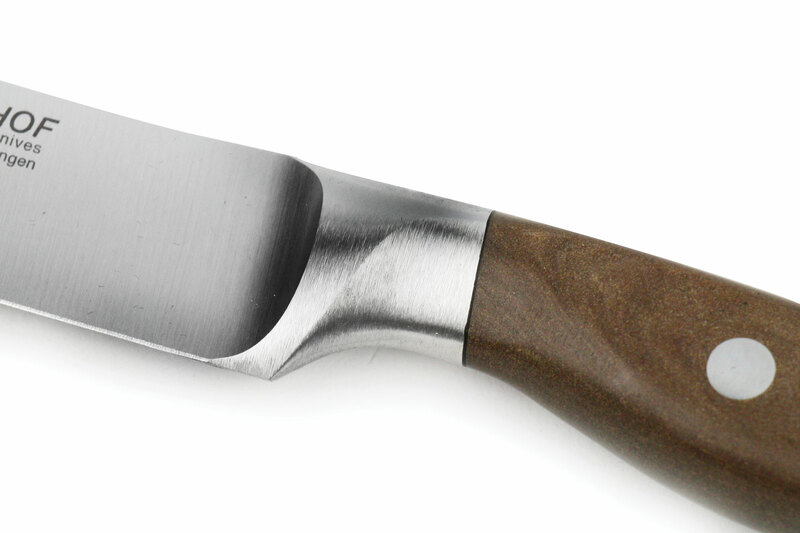 The cutting edge produced by a knife using the PEtec process is extremely thin, this is what produces the exceptional sharpness. 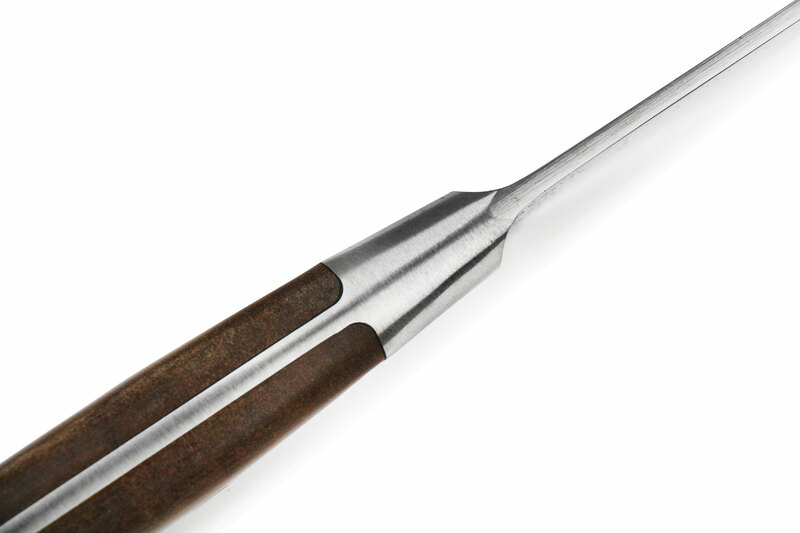 The benefits of the PEtec edge provide extremely high initial cutting performance with exceptionally long edge retention and long life of the blade. 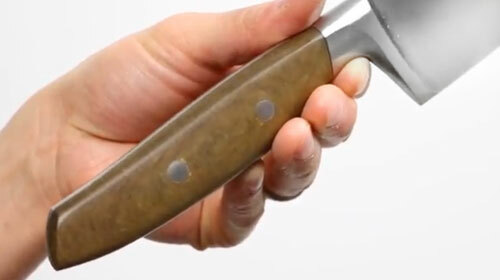 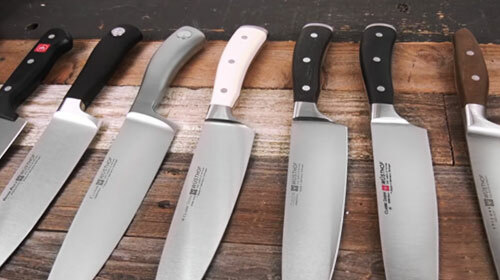 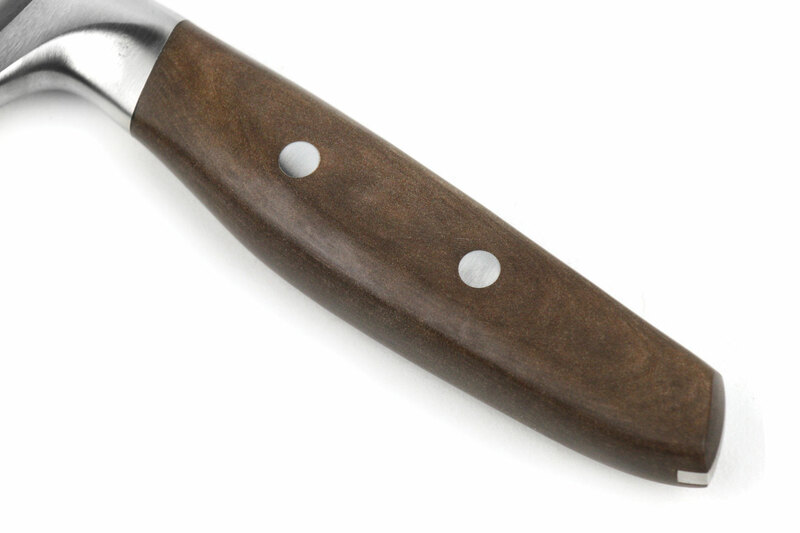 The quality of forged Wusthof knives produced using the PEtec process is significantly higher than that produced by the standard manual sharpening process.